UP is a credit card size board with the high performance and low power consumption features of the latest tablet technology: the Intel® Atom™ x5 Z8350 Processors (codename Cherry Trail) 64 bits up to 1.92GHz. The internal GPU is the new Intel Gen 8 HD 400 with 12 Execution Units up to 500MHz to deliver extremely high 3D graphic performance. UP is equipped with 1GB/2GB/4GB DDR3L RAM and 16GB/32GB/64GB eMMC. UP has 40-pin General Purpose bus which provides the freedom to makers to build up their shield. 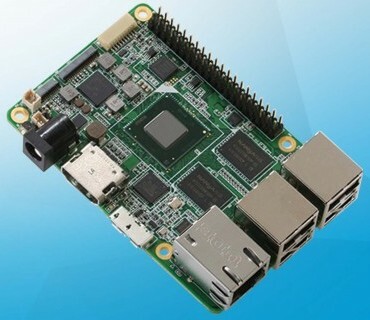 2x port USB2.0 + 1x UART on header, 1x USB 3.0 OTG, 1x Gbit Ethernet (full speed), 1x DSI/eDP port, 1x Camera (MIPI-CSI), 1x HMDI, RTC. It’s UP to you to choose which operation system is best for your application. The CPU is supported by Android 5.0 Lollipop, Microsoft Windows 10 and we support and enable Linux, through our UP Community. 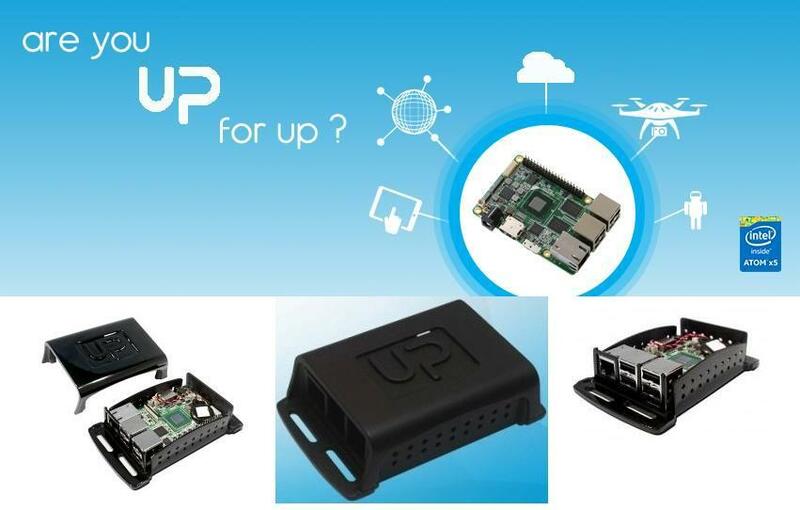 UP is a computer board for makers and professional makers. UP is a bridge between your hobby and your future business.